When you need commercial boiler service for your Saratoga, NY business or organization, Family Danz can help. 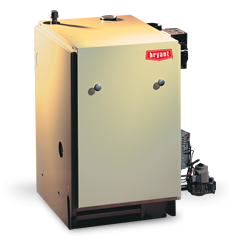 For the past three decades, we’ve been providing commercial boiler services throughout the area, and have helped many businesses with their commercial boiler needs. We can help you keep your employees and clients comfortable all winter long, too. Family Danz is proud of the professional, courteous commercial boiler services we provide. Our highly-trained technicians specialize in providing our commercial clients with any boiler repair or replacement they might need. We help you select the best quality, most energy efficient commercial boiler solution for your Saratoga, NY business or organization. Family Danz will perform your Saratoga, NY commercial boiler service right the first time. At Family Danz, we know how costly downtime can be. That’s why we work diligently to ensure that your commercial boiler service is done to your complete satisfaction. That way, we ensure you’ll get back to business quickly.